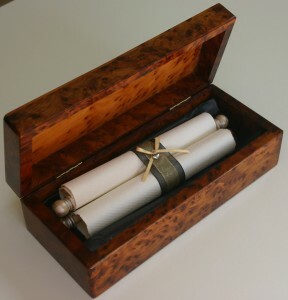 I have had more and more people asking for wooden scroll boxes to present their scrolls in, and I am delighted to be able to offer this stunning Moroccan, solid wooden box. 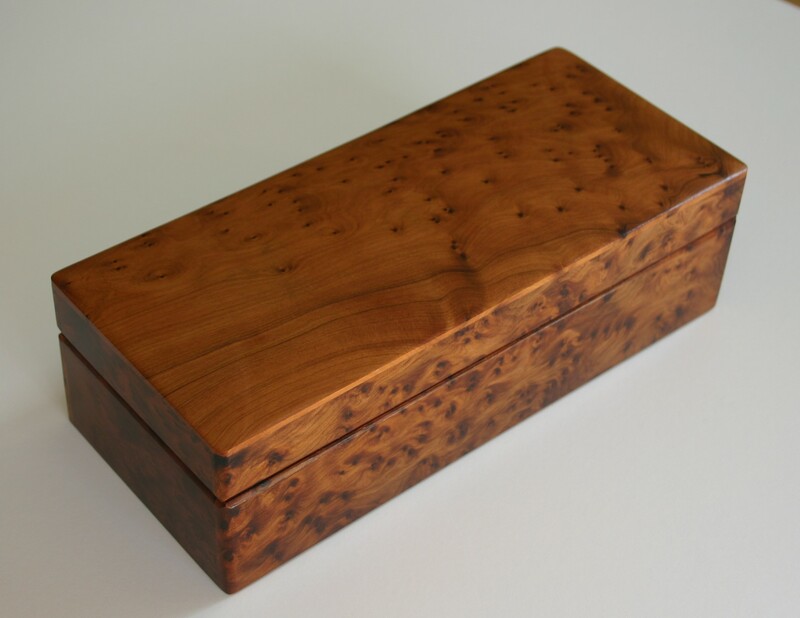 Any of the scrolls can be placed in this beautiful, hand made box, which is produced in Morocco from the root of the Thuya tree and has been custom made for Trinitybox, which means you won’t find the same box anywhere else. This box is £45 in addition to any of the scroll prices listed. The external dimensions for the box are 24.5cm (w), 10.5cm (d), and 7cm (h). If you are interested in this box, please contact me.